I3 invite all interested stakeholders to begin the policy dialogue debate with a Round Table Discussion at THE ART+Exhibition. 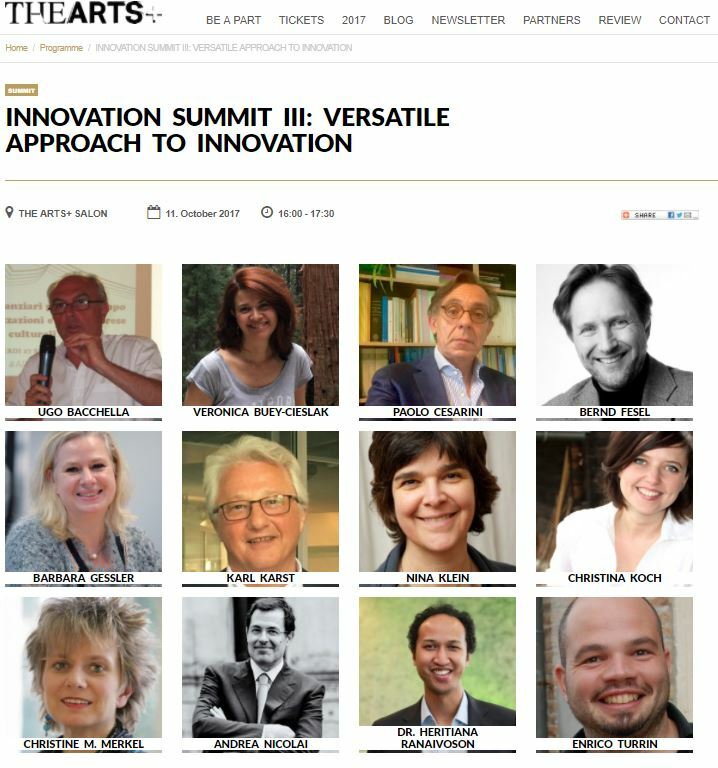 The event will take place at THE ARTS+ summit, on the topic of ‘‘A Versatile Approach to Innovation’. The specific discussion will be ‘A strategic view of the CCI and their role in the research funding programme Horizon2020’. The discussion will be led by subject matter expert Paolo Cesarini, Head of Unit, Social Media & Media Convergence, European Commision. The event will be moderated by Andrea Nicolai co-founder of T6, project manager, consultant and strategist for the European Commission. This open event will share research, insights and expertise in the sector, and be of particular interest to policy makers and policy consortium members, interested in the opportunity to discuss the next framework for funding. As well as industry planners, researchers and creative content makers keen to join the conversation. THE ARTS+ Exhibition is a business festival for those that create pioneering partnerships for the smart use of creative content. THE ARTS+ exhibition takes place during the Frankfurter Buchemesse in hall 4.1, this is an open area and can be visited with a ticket for either event, THE ARTS+ or Frankfurter Buchemesse. Join the debate and shape Europe’s Media Future!